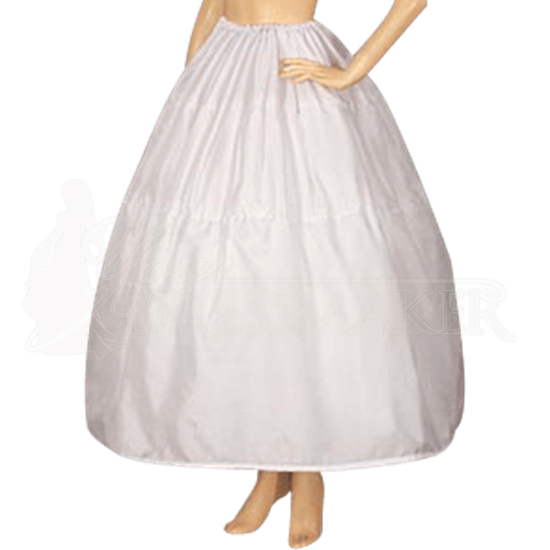 This Medieval Hoop Skirt is a unique renaissance design, made to give you a more grand appearance in our baroque Medieval dresses. 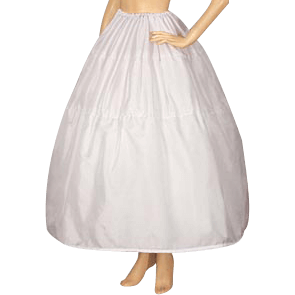 The Medieval Hoop Skirt is a 2 piece skirt that consists of a 3 hoop parts, and a tulle and satin layer which covers the hoops, which will give you a fuller silhouette shape. 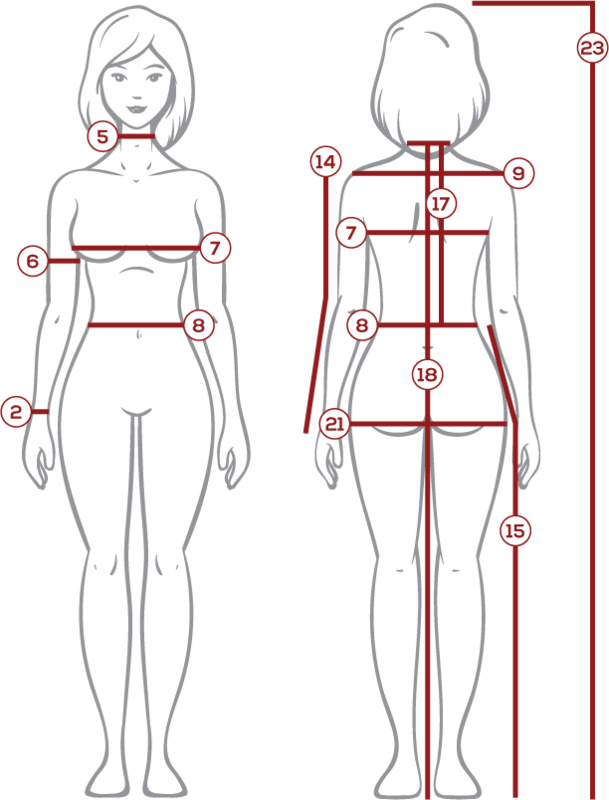 You can wear this under gowns and skirts to get an authentic period look. Secretive and mystical rituals and ceremonies should always be conducted in the proper place, with the proper materials, by the proper people. 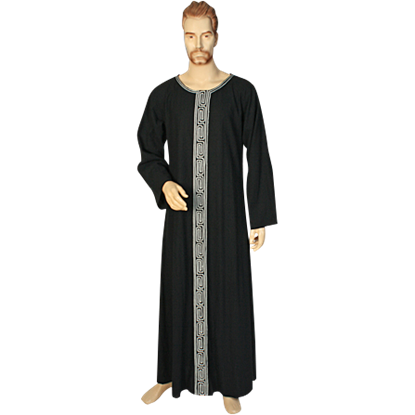 In the Men's Pagan Ritual Robe, you will look the part, ready to conduct your own rituals. 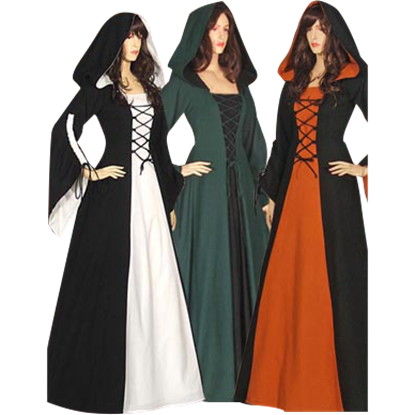 Do not let the colder months impede your medieval or renaissance looks. Add the Fur Trimmed Cloak with Hood to your repertoire of garments and protect yourself from the cold and the wind in a cloak that is both functional and luxurious. 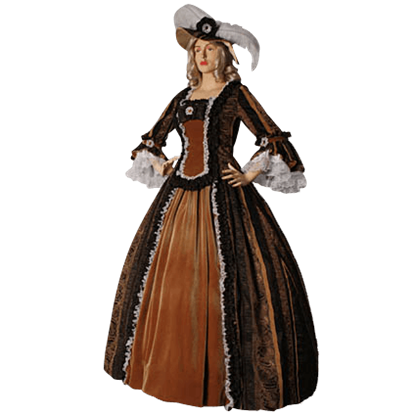 The Lady's Renaissance Dress is a beautiful two-piece dress ensemble that consists of a skirt and bodice made from extremely high-quality baroque damask. This attractive ensemble is also highly adjustable, as it fastens via laces in the back.